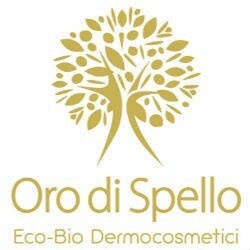 The dermo-cosmetic products Oro di Spello - Pharmatre are all products made with extra virgin olive oil of organic certified quality. The cosmetics are manufactured using only organic ingredients whose quality is certified by the Italian Association for Organic Agriculture and the Institute for Ethical and Environmental Certification. The cold extraction of extra virgin further enhances the organoleptic properties of extra virgin olive oil, ensuring the highest levels of polyphenols and natural antioxidants. The emollient and moisturizing extra virgin olive oil are essential for the care and protection of the skin. The products of Oro di Spello contain these features in a wide range of bio-skin cosmetics.